The US embassy in Harare urged the army to "use restraint" on Twitter, saying the country had an "historic opportunity" for a brighter future. 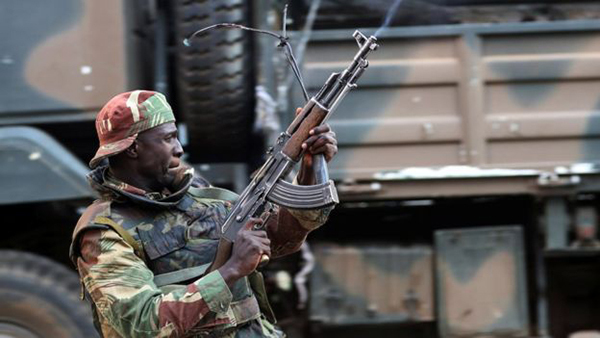 Human rights group Amnesty International meanwhile called on the government to open a probe into the army's actions. Amnesty's acting secretary general Colm O Cuanachain said in a press release that the "militarisation" of the election aftermath "is muzzling freedom of expression, association and assembly". The country's electoral commission said that Zanu-PF won a two-thirds majority in the national parliament - prompting protests in the capital, Harare. The country's Home Affairs Minister Obert Mpofu said the government "will not tolerate" the protests.